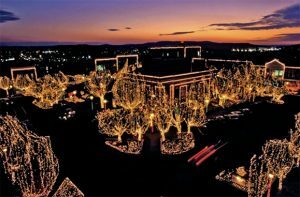 Marvel at the Best Holiday Light Displays in Arkansas! Christmas lights are lighting up parks and towns across Arkansas, bringing joy for the holiday season. 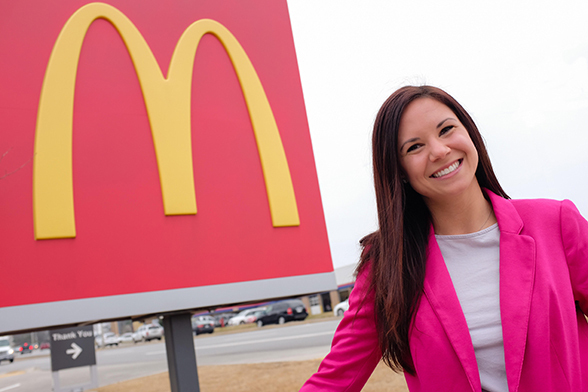 Here are a few places you and your family should check out before the New Year arrives. 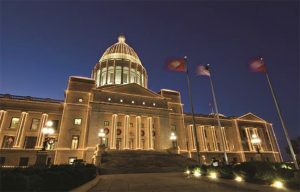 Tis the season to see Arkansas’ State Capitol lit up for the Christmas season! Visit inside to see the 25-foot Rockefeller pine tree among other Christmas decor during the day and see the beautiful lights shimmer off the building when the sun goes down. Stop by Searcy this holiday season to experience Searcy’s Holiday of Lights. Visit Harding University, ASU- Beebe, and downtown Searcy to see the town lit for the Christmas season! 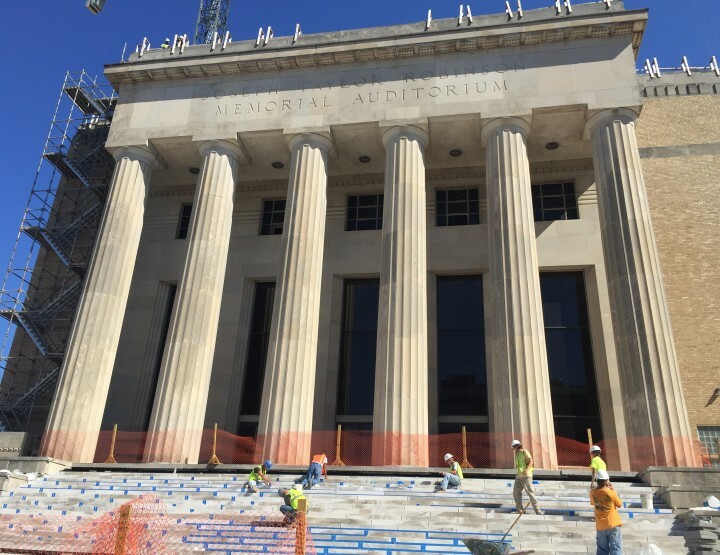 Go to searcy.comfor more information and to see upcoming events. 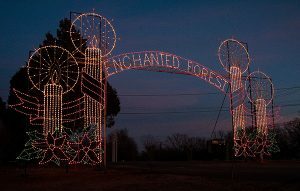 Sherwood’s Enchanted Forest is a great place to visit this holiday season! Stop by and see the drive through trail’s mile of beautiful lights. Admission is free, and non-perishable food donations are accepted for local food pantries. 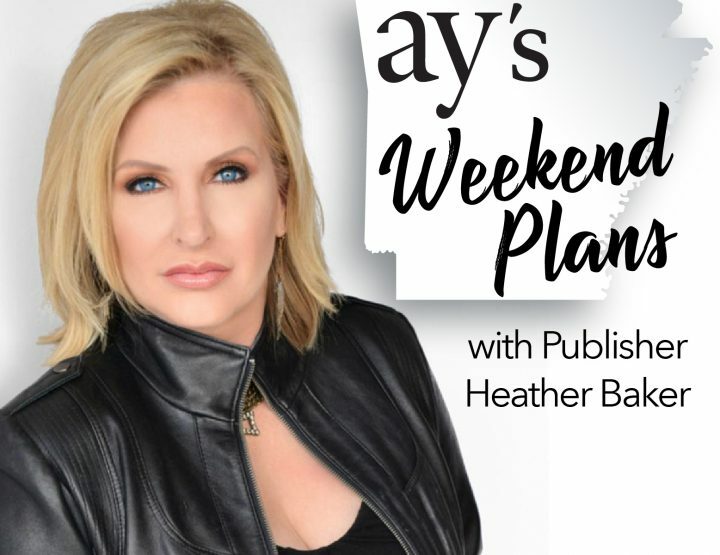 Check out cityofsheerwood.net for more information. 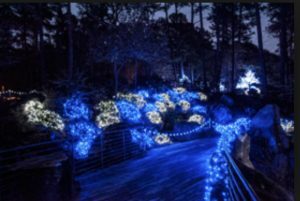 Don’t forget to see Garvan Woodland Gardens’ 18 acres of Christmas lights this holiday season! Gates open at 3 p.m. daily. Adult admission is $15, $5 for ages 4-12, and free for ages 0-3. Go to garvangardens.org for more information. 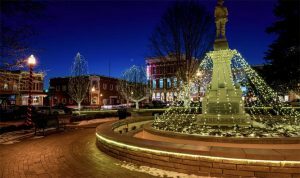 If you’re in Northwest Arkansas this Christmas season, be sure to stop by Bentonville Square to see their lights illuminate off the town square. They will be lit from November 17 through New Year’s Day from dusk until dawn. Visit https://www.arkansas.com/holiday-lights/bentonville-trail-holiday-lights for more information. Fayetteville Parks and Recreation present the Lights of the Ozarks. Pony Rides, fresh hot chocolate, and holiday music are set to make your night one to remember. Lights are switched on at 5 p.m. will go off at 1 a.m. Pony rides are $6 per person and carriage rides are $25 for the first two for the first two people with an additional $10 for each additional person. visit www.experiencefayetteville.com for more information.